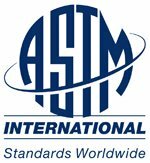 Airlines won the backing of the U.S.-based ASTM technical-standards group to power their planes with a blend of traditional fuel and biofuel from inedible plants. Fuel processed from organic waste or non-food materials, such as algae or wood chips, may now comprise as much as 50 percent of the total fuel burned to power passenger flights. The US Navy successfully demonstrated Solazyme’s 100% algal-derived jet fuel, SolajetHRJ-5®, in an MH-60S Seahawk helicopter test flight in a 50/50 blend with petroleum-derived jet fuel. This marked the first military aircraft in history to fly on an algal-based jet fuel. 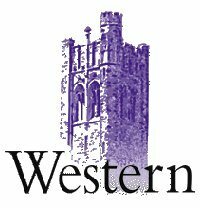 Dr. Wankei Wan, a professor of biochemical engineering at the University of Western Ontario and his research team, found a relationship between algal growth and magnetic fields. According to their observations, the magnetic field exposure “almost quadrupled the biomass and lipid (oil) production rate in raceway ponds.” They also noticed the magnetically stimulated algae produced dramatically more antioxidants, such as Astaxanthin. OriginOil announced it has entered into a definitive convertible notes purchase agreement with certain institutional investors, for an aggregate purchase price of $1.0 million. “This financing represents our first institutional investment round,” commented Riggs Eckelberry, OriginOil’s CEO. 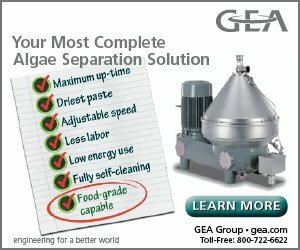 In its bid to become a major player in the global microalgae industry, AlgaeBiosciences launched a $5-million, first-phase expansion of its production facilities near Holbrook, Ariz., to allow the company to reach large-scale commercial production levels of omega-3 fatty acid oils by the end of the calendar year. The U.S. Departments of Agriculture, Energy, and Navy announce they will invest up to $510 million during the next three years in partnership with the private sector to produce advanced drop-in aviation and marine biofuels to power military and commercial transportation. Backed by a $25 million U.S. Department of Energy award, UOP LLC, a Honeywell company headquartered in Des Plaines, Illinois, announced that it has begun construction in Hawaii of a biofuels demonstration unit that will convert forest residuals, algae and other cellulosic biomass into green transportation fuels. 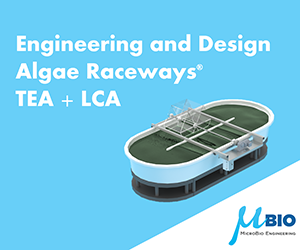 A new €14 million ($19.7 million USD) initiative is created to bring together experts from across North West Europe to develop the potential of algae as a source of sustainable energy. The four and a half year project, called Energetic Algae (EnAlgae), will address the current lack of information on macro- and microalgal productivity in North West Europe. Evodos B.V., the Netherlands-based developer of low energy centrifugal systems, received the order to supply all of the algae harvesting machines for MBD Energy’s 1 Ha power stationplant in Australia. OriginOil, Inc. announced it will begin to work with the U.S. Department of Energy’s Idaho National Laboratory to develop standards for converting biomass, including algae, into biofuels and other products. One of the Program’s main goals will be to develop feedstock standards and specifications for different formats of bio-energy materials. Heliae, an Arizona-based algae technology company, announced signing a Memorandum of Understanding to produce algae-based jet fuel for SkyNRG, an Amsterdam-based market-maker of renewable aviation fuel. The National Algae Association (NAA) offered their Algae Production Certification Program October 22, 2011, at the Biotech Institute of Lone Star College in The Woodlands, Texas – “the only one in the country that teaches all aspects of commercial algae production, starting with strain selection and ending with the economics and marketing of co-products,” according to NAA Executive Director Barry Cohen. Solazyme Fastest Growing Manufacturing Company in U.S.
Solazyme was named America’s Fastest Growing Manufacturing Company, by Inc. magazine, with a three-year growth of 20,424%, and 2010 revenue of $38 million. 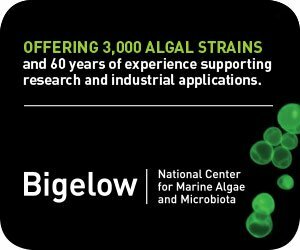 Scientists at Los Alamos National Laboratory engaged in strategic science on behalf of national security, have genetically engineered “magnetic” algae to investigate alternative, more efficient harvesting and lipid extraction methods for biofuels. A permanent magnet can be used to separate the transformed algae from a solution. Based on Dr. Craig Ventor’s remarks at the New America Foundation conference in Washington, D.C., his scientific team and ExxonMobil have yet to find naturally occurring algae strains that can be converted into a commercial-scale biofuel, Ventor suggested that the answer is in the creation of a man-made strain. Ft. Myers, Florida-based Algenol Biofuels Inc. announced that it has broken ground on the construction of its pilot-scale integrated bio-refinery. The 36-acre facility will contain 3,000 of Algenol’s patented photobioreactors in a commercial module. The annual Algal Biomass Summit, held in Minneapolis, marked an attendance increase of 25% over last year’s event in Phoenix—to 793, a 50% increase in trade show exhibitors—to 72 booths, more than 100 poster presentations, and 125 speakers. An algae biodiesel blend recently passed critical tests on a 135-foot U.S. Navy landing vessel. The ship, a conventional Landing Craft Utility (LCU) 1600-class, used a marine fuel blend composed of one-half algae biodiesel and one-half NATO standard multi-purpose naval fuel, called F-76. United Airlines flew the world’s first commercial aviation flight on a microbially-derived biofuel using Solajet™, Solazyme’s algae-derived renewable jet fuel. The Eco-skies Boeing 737-800 plane was fueled with 40 percent Solajet and 60 percent petroleum-derived jet fuel. The Australian Senate approved Australia’s first price on carbon emissions at the November 8 session. Beginning on July 1, 2012, a fixed carbon price of $23(Aus) per metric ton will apply, moving to a flexible price after three years. The U.S. Navy launched its largest alternative fuel test to date—a destroyer named the Paul H. Foster burning 20,000 gallons of algae-based fuel over a 20-hour trip along the California coast, from San Diego to Port Hueneme. 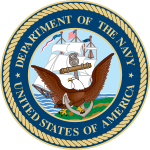 Dynamic Fuels, LLC, a joint venture between Tyson Foods, Inc. and Syntroleum Corporation, was awarded a contract to supply the U.S. Navy with 450,000 gallons of renewable fuels. Solazyme, Inc. will help Dynamic Fuels fulfill the contract, which the Navy and the USDA report is the single largest purchase of biofuel in government history.